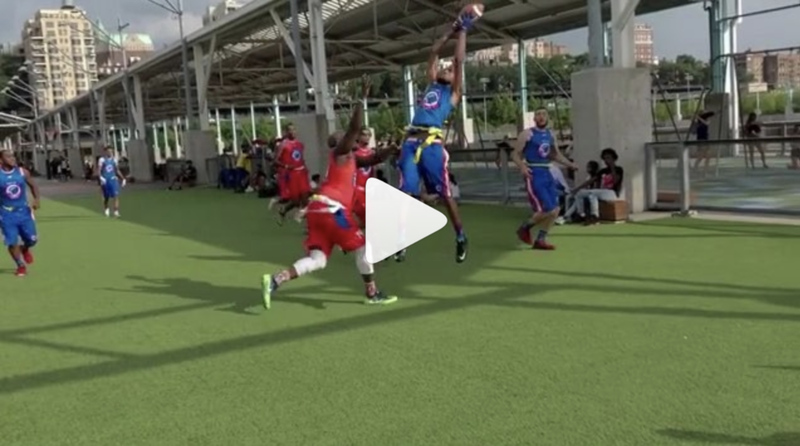 Peep The Crossover: The 4th Annual Ballin’ 4 Peace Celebrity Flag Football Game at Brooklyn Bridge Park in Early August was another Successful Give Back Event for founder and creator Haron "H20" Hargrave, who turned to Wooter Apparel this year to collaborate on some fresh customized football jerseys. 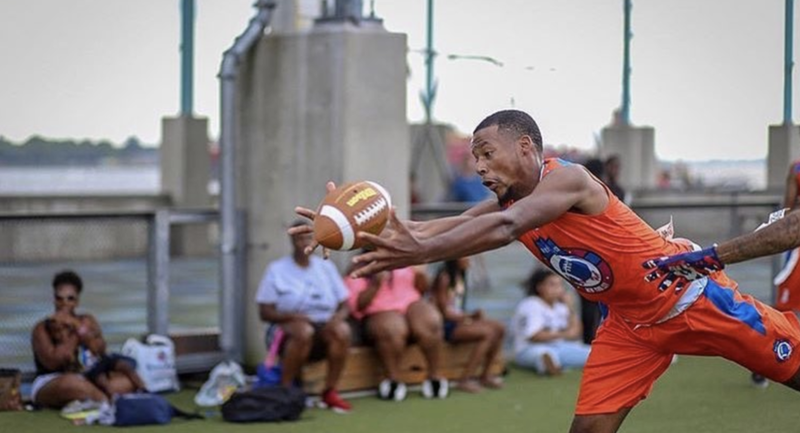 Five months ago, Haron "H20" Hargrave stood on the court at the Elmcor Youth & Adult Activities Center just minutes after concluding the 4th Annual Ballin' 4 Peace Celebrity Charity Basketball Tournament in Queens, New York. It was a time for the former Sacramento State basketball standout to not only reflect on another successful community outreach event by raising gun violence awareness in his own burrough, but it provided the chance for Hargrave to equally look ahead and start planning for the next give-back game. 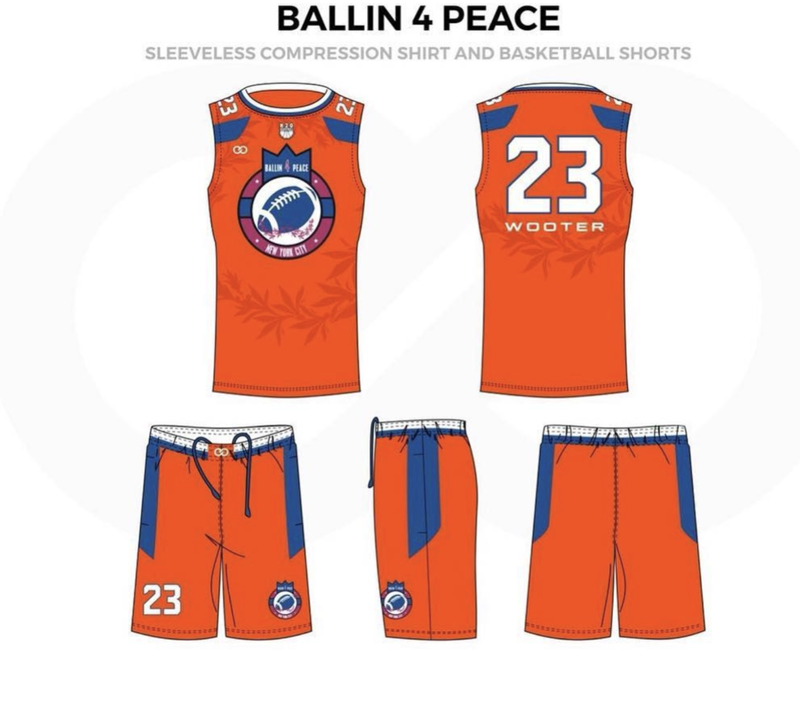 "We want to continue to get kids and the community involved, " said Hargrave, who operates the H20 Sports Foundation and has partnered with Wooter Apparel to produce his last two Ballin' 4 Peace Basketball Charity event. Along with basketball and the flag football games, Hargrave also organizes and runs an annual celebrity bowling charity event. All three gatherings are heavily rooted in community, service, and giving back on a local and personal level. "People have to want to come, so we want to also reward people in the community and honor them for giving back just like we are. I can't wait to do this again and have people become a part of what we are doing. It's positive. It's powerful." Chalk up another W for Hargrave and the cherished inner city communities in New York he continues to pay it forward to. 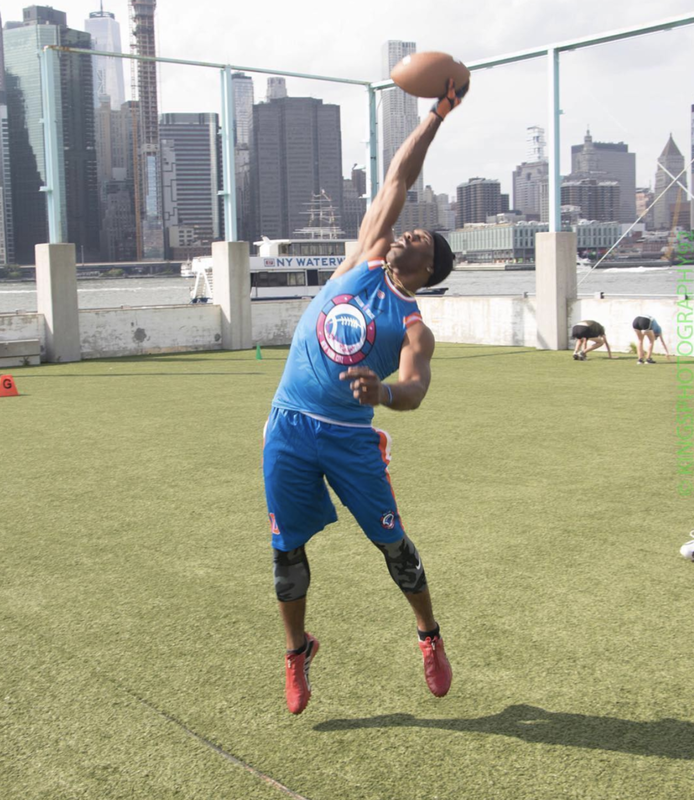 On Saturday, August 11 at Brooklyn Bridge Park, Hargrave and a wide variety of celebrities, entertainers, media personalities, and athletes headlined by Newark, New Jersey native and Brooklyn Nets forward, Kenneth Faried slipped on their customized orange and blue Wooter Apparel flag football jersey and take to the field for the 4th Annual Ballin’ 4 Peace Celebrity Flag Football Game and school supply drive. The event was hosted by fellow Queens native, comedian, and entertainer, Fly Boii Kris with DJ Hot Rod providing the music. 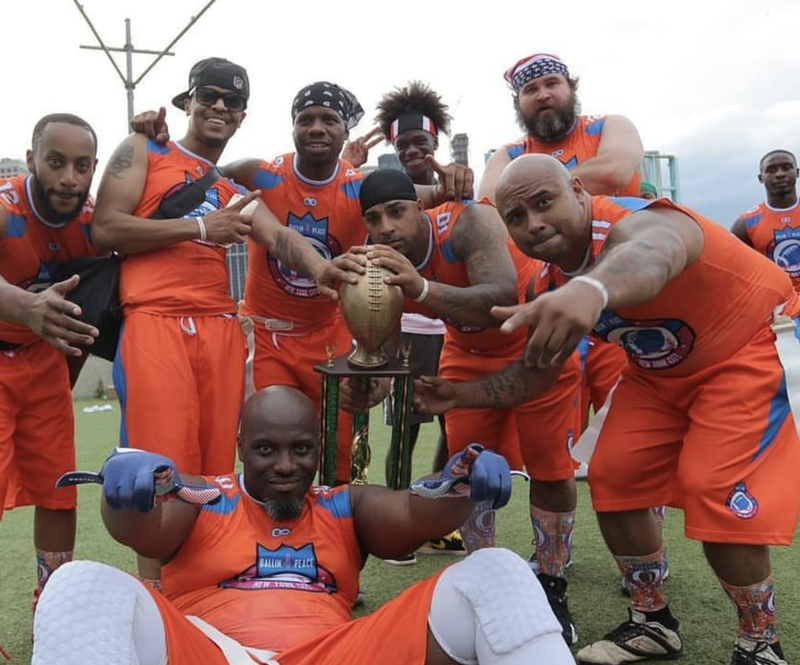 Yalee, Aziastar, Mr. Commodore, DJ Trase, Sexxy Lexxy, Grafh, Niki Avery, Daniel Jean, Ayisha and Ashley Diaz, and Mani Love among many others, also appeared and left it all on the field. "Thank you to everyone who helped turn out and support this event and for Wooter Apparel for having our back. 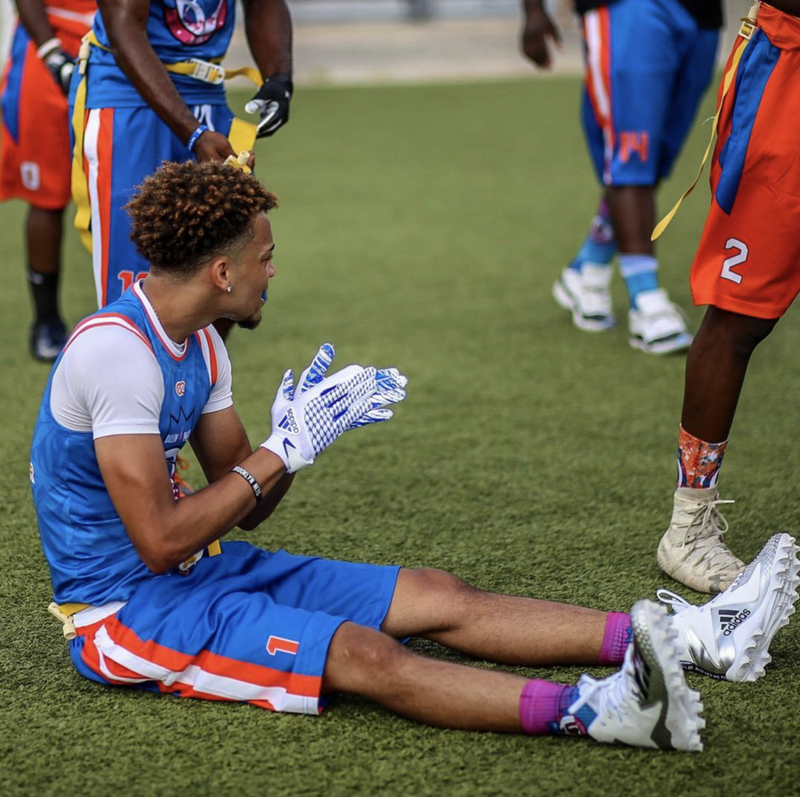 We've developed a bond in teaming-up for previous basketball charity events, so when it came time for the football game working with Wooter was a natural fit," Hargrave said. "I learned early on in life that it was my duty to give back. My mother instilled that in me -- giving back and doing these events is so important. She was such a giver. She was such a hustler, and you need that from parents to be able to embed these traits in you so you can pick your path. This is my path." For Haron Hargrave, that path keeps leading to victory and another chance to give back to others through sports.